Easy slider! 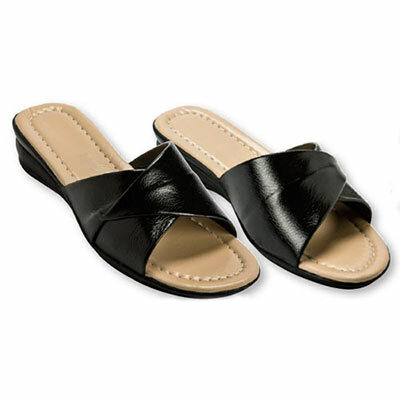 These comfy Black Crossover Sandals are the perfect shoes for warm-weather wear. Textured faux leather creates a crossover strap detail, and the non-slip rubber sole with 1" wedge heel provides all-day comfort. Imported. Hurry! Quantities are limited!